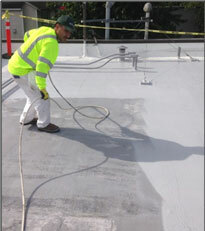 Westcoast Painting has been trained and certified to install various elastomeric roof coating membrane systems. These sustainable roofing systems have many proven advantages and are becoming increasingly popular amongst building owners and property managers around the world. Check out our Fluid Applied Roof Membranes Portfolio to see some of the projects and type of work we do at Westcoast Painting. Also check out the manufacturer’s websites for additional information about the products Westcoast has been certified in to install. 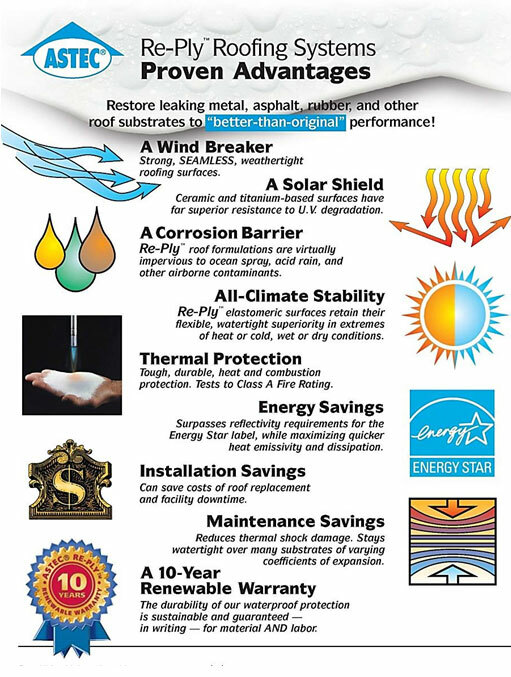 No need for the expensive tear off or re-roof, now you can apply a seamless re-ply system. Did you know that in most surveys, 15% of the roof requires major repairs or replacement? We offer infrared scans to detect troubled areas where repairs are needed. We can help you save money and dealing with the effects of a re-roof or tear off. Westcoast Painting has been certified to install the following Fluid - Applied Roofing Systems.